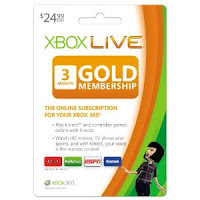 Xbox LIVE 3 Month Gold Membership only $14.99! (Reg $25) Today Only! Today only, you can get a 3 month Xbox LIVE Gold Membership for only $14.99. This regularly costs $24.99!